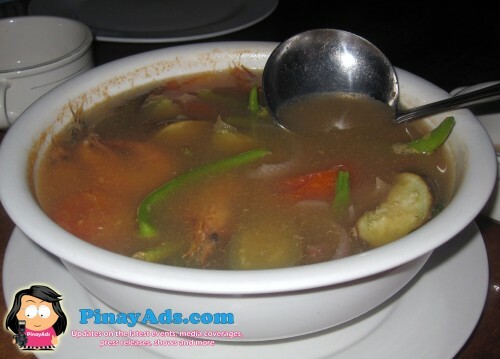 During our trip to Palawan, my husband and I got the chance to dine at Kinabuch Bar and Grill. 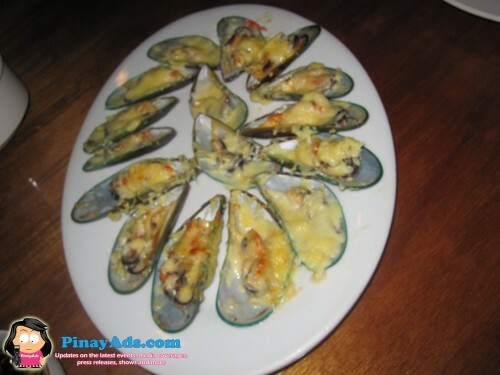 This is one of the famous and grill at Puerto Princesa, Palawan. I have known of this place when a friend of mine once mentioned that I should try it, especially their crispy pata. Kinabuch Bar and Grill is also a fine place to drink and spend time with your friends and love ones. Played pop music in the background is also relaxing. The place has a good and extra fast service. I hate it when food service is slow. Anyway, aside from Crispy Pata, Kinabuch also serves Laing, the grilled pusit (squid), large grilled blue marlin steak, baked Tahong, sinigang na hipon, Pansit and exotic delicacy like Tamilok, a wood worm and a lot more. The setting is like any typical drinking place in Manila with an open air, while parking is the only problem, since most people are driven to dine at this place because of delicious foods at a lower price – P300.00 per head is enough to fill your empty stomach with a blast. So, if you plan to eat at Kinabuch, be sure to come early or have your reservations when you have a car. So, remember, when you plan a trip to Palawan, your trip will never be complete without a visit to Kinabuch Bar and Grill. I assure you, this place is highly recommended by tourists, like me, and even the locals. Don’t forget to jot it down in your itinerary, okay? This entry was posted by Iris Camille Acosta, who has written 2 posts as aeirin, on Thursday, August 27th, 2009 at 7:31 pm and was filed under Restaurant. I’ve never been to Palawan – but I do want to go someday soon. How do you pronounce this? Is it “kee-na-butchs” or is it “kee-na-books”? Parang sarap nung crispy pata – mukhang crispy talaga nung balat. 😀 yummy! hehe. I like the baked mussels. yummy! Nameet mo si Butch Chase? too bad d ko sya nameet eh. this is a nice place and it was very memorable…. the place is great, service is good and most importantly the beers are cold, food is ordinary to me.